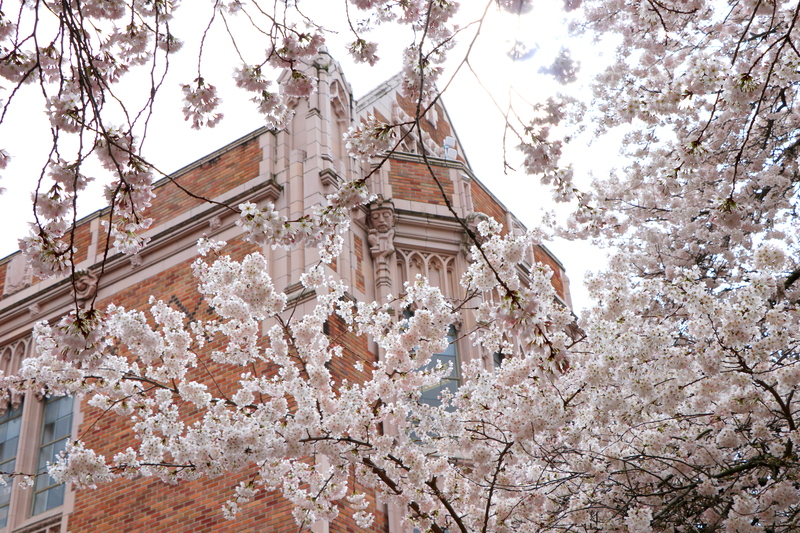 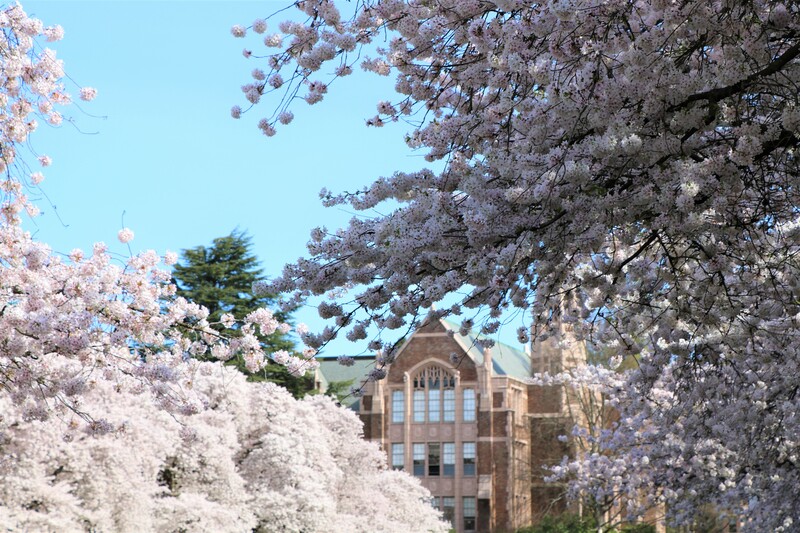 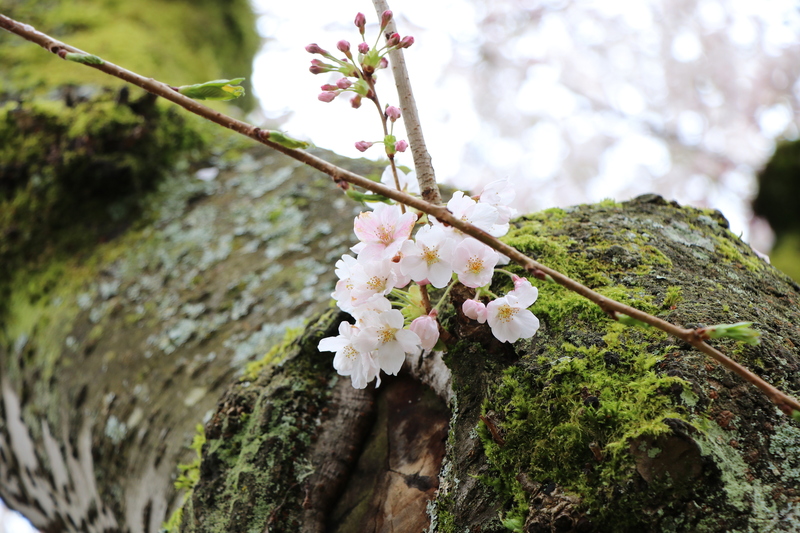 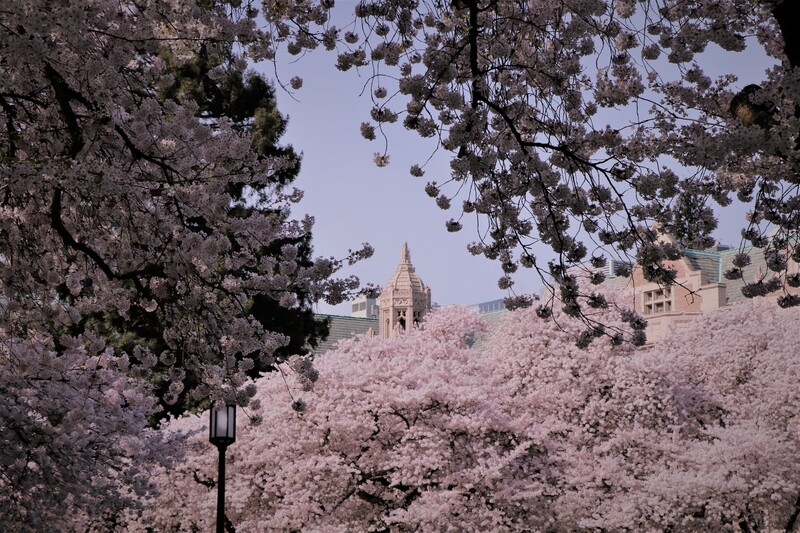 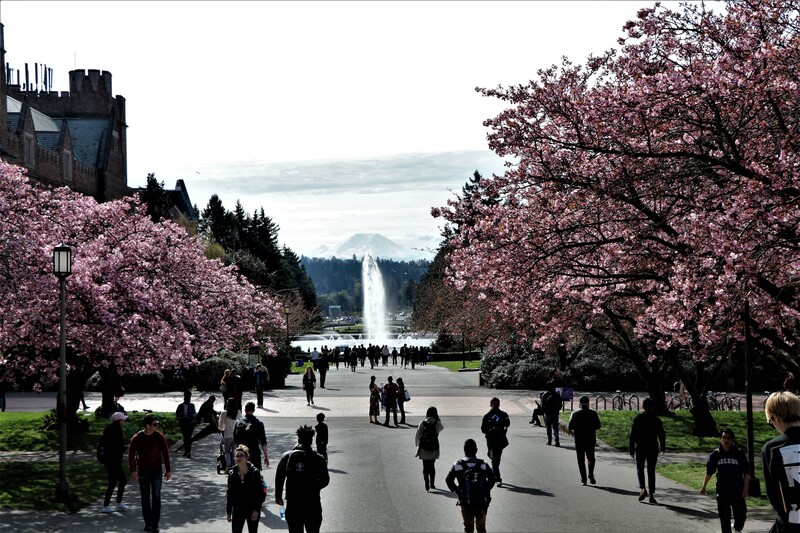 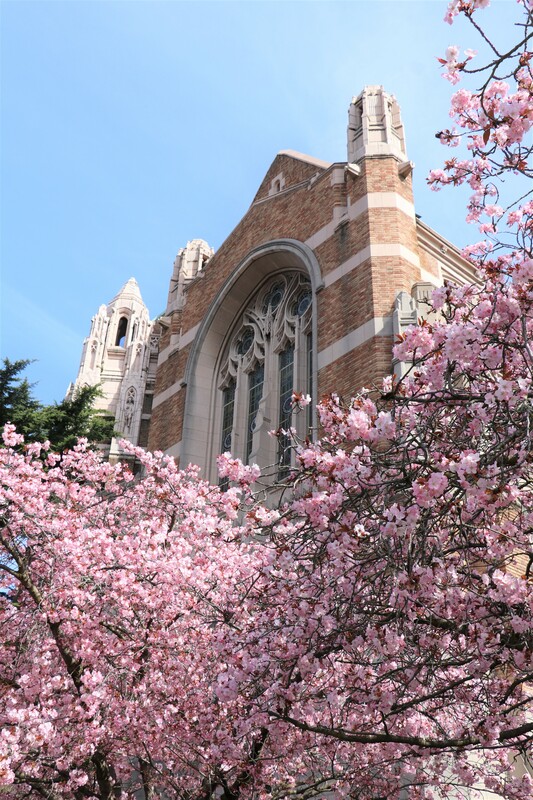 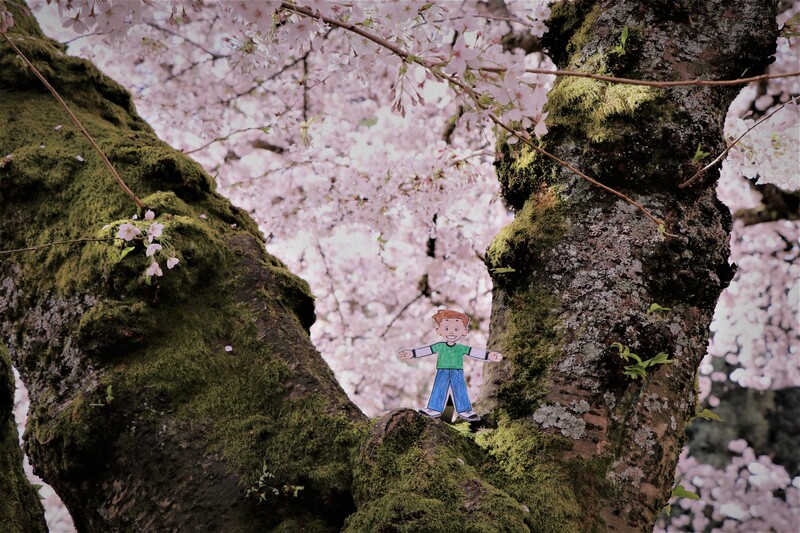 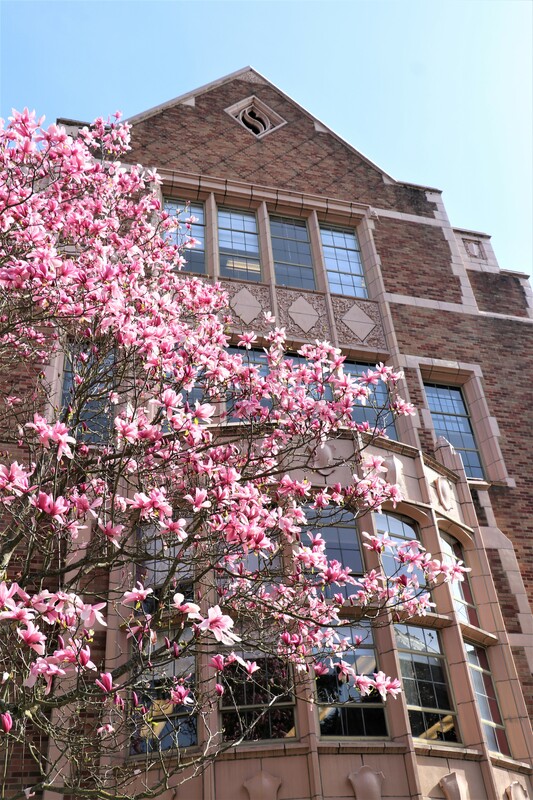 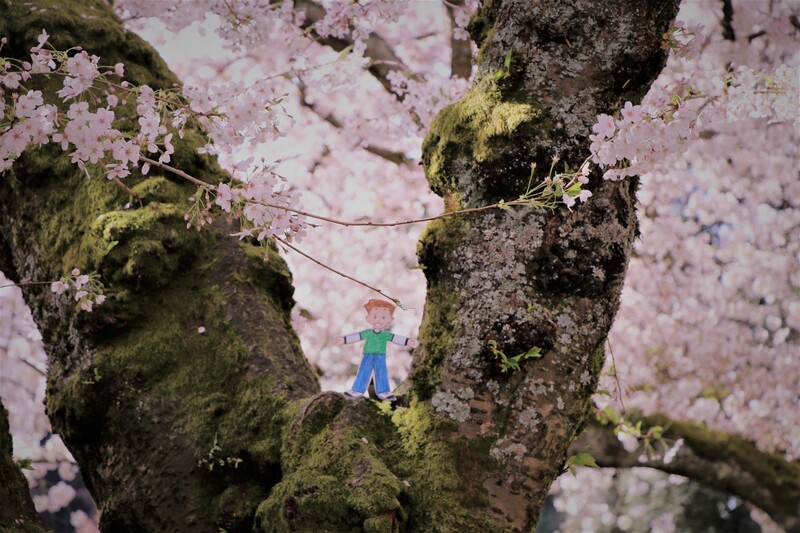 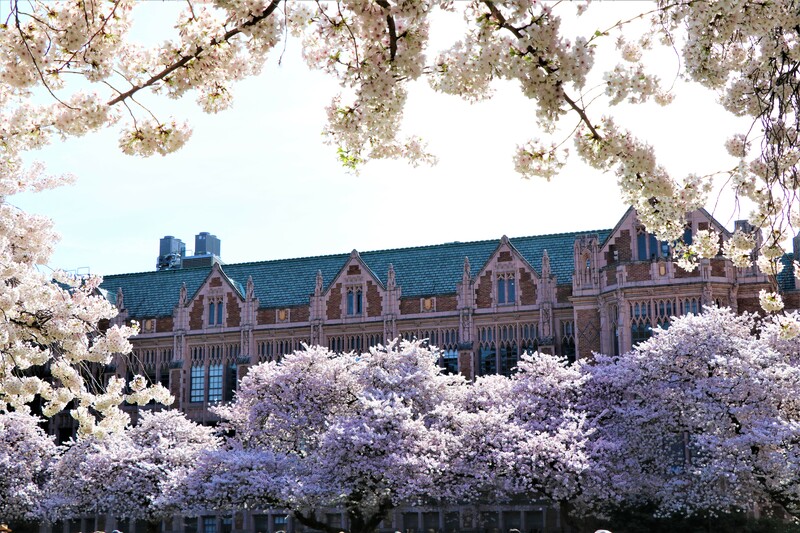 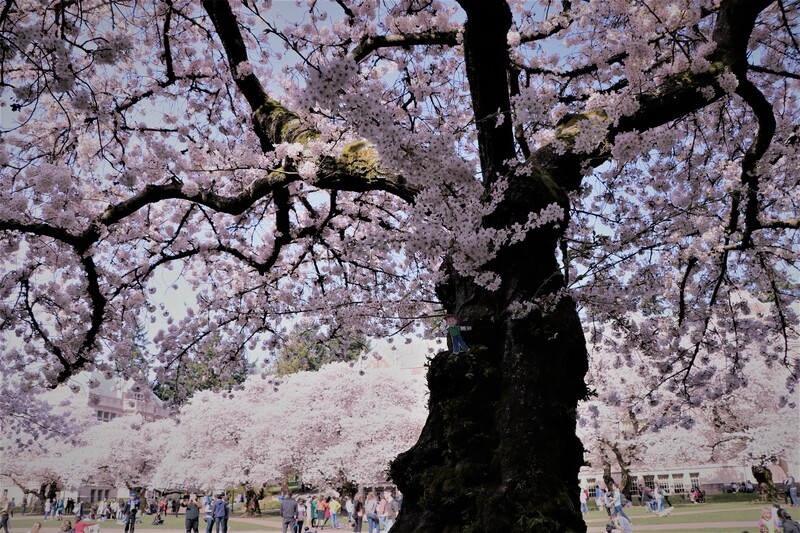 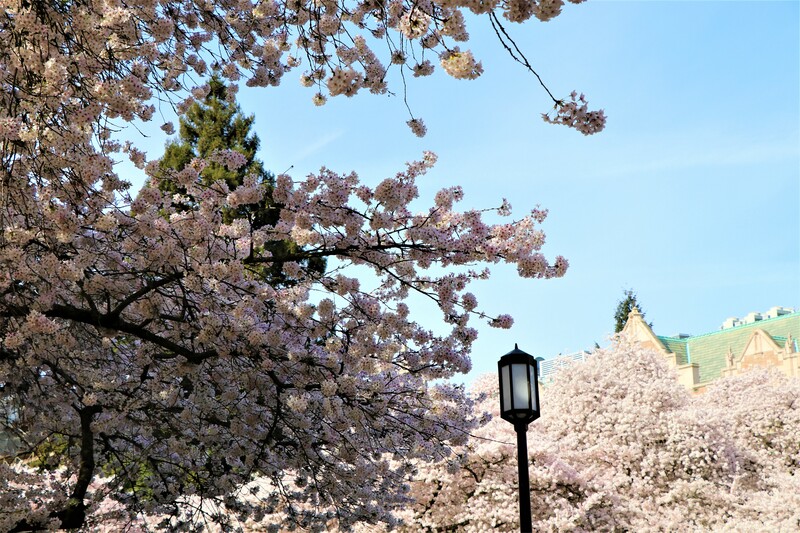 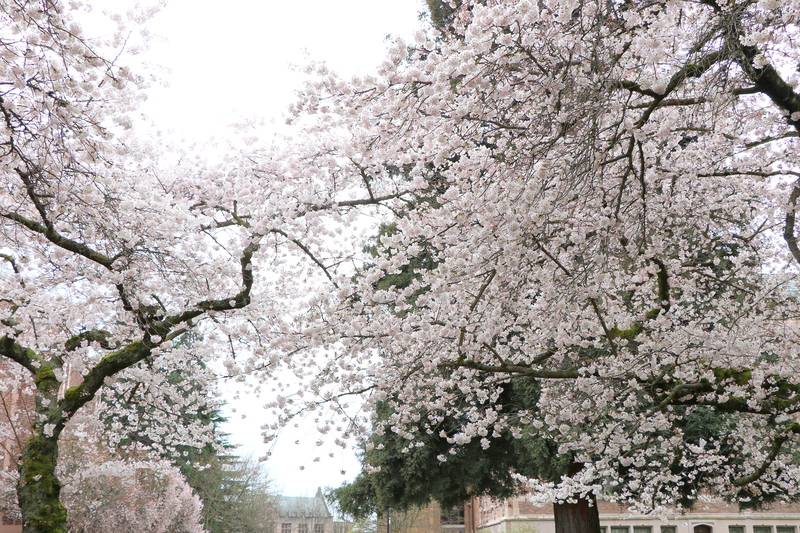 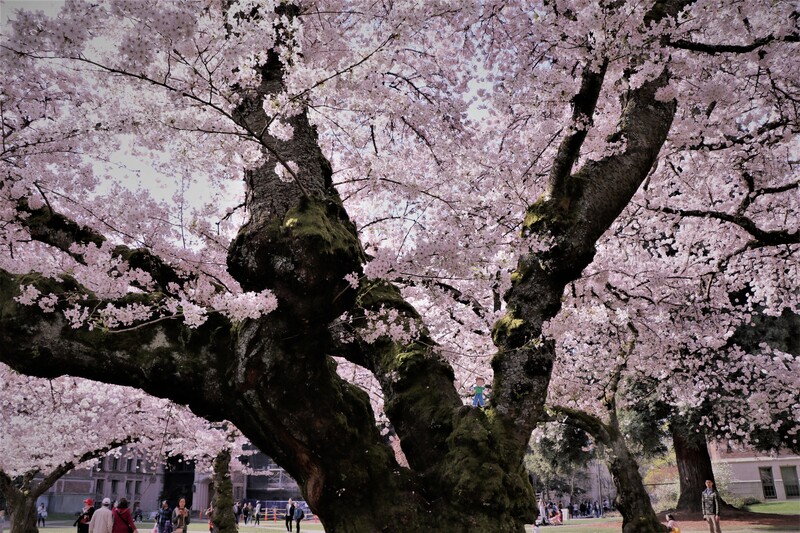 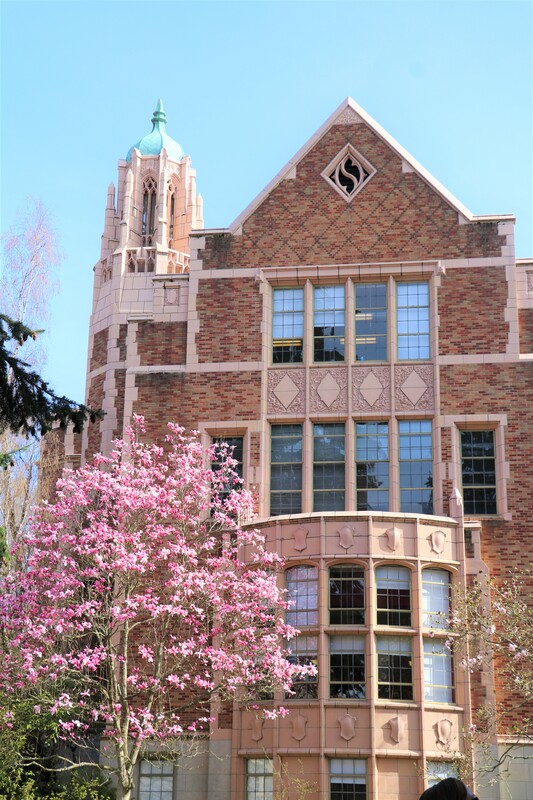 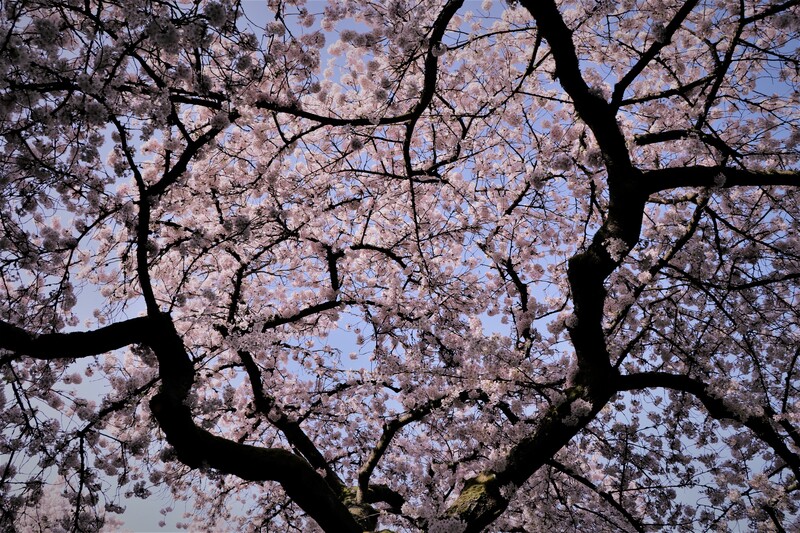 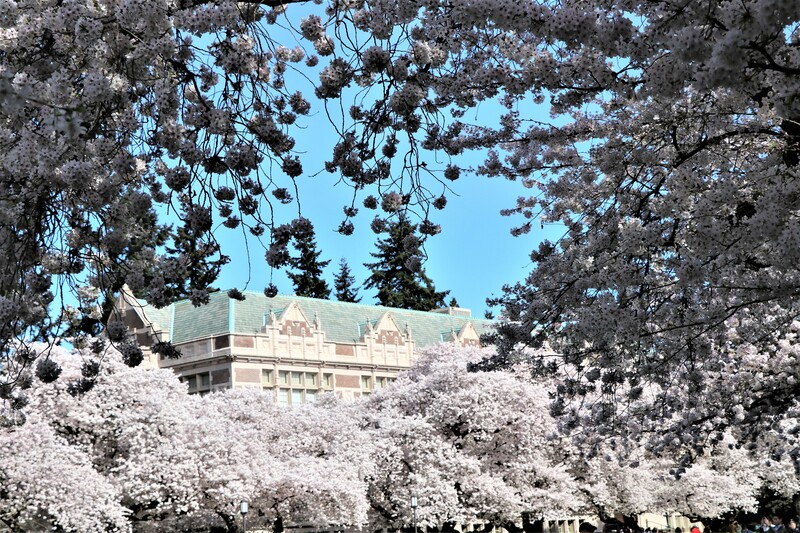 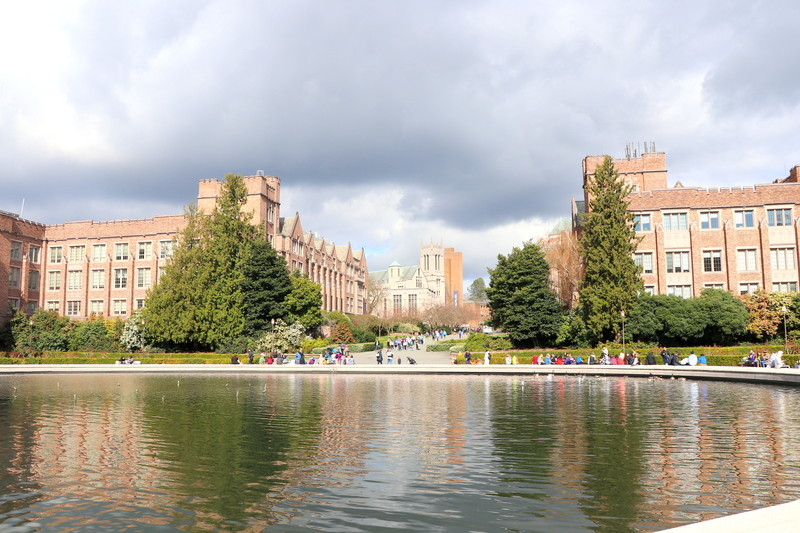 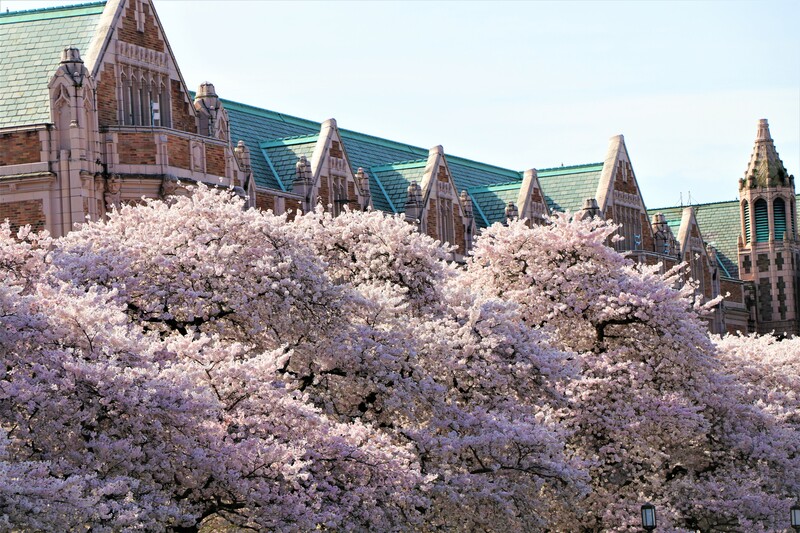 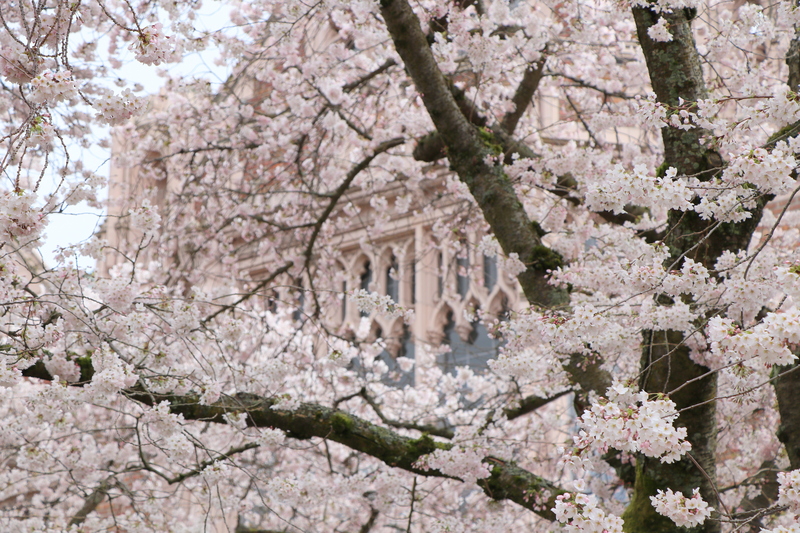 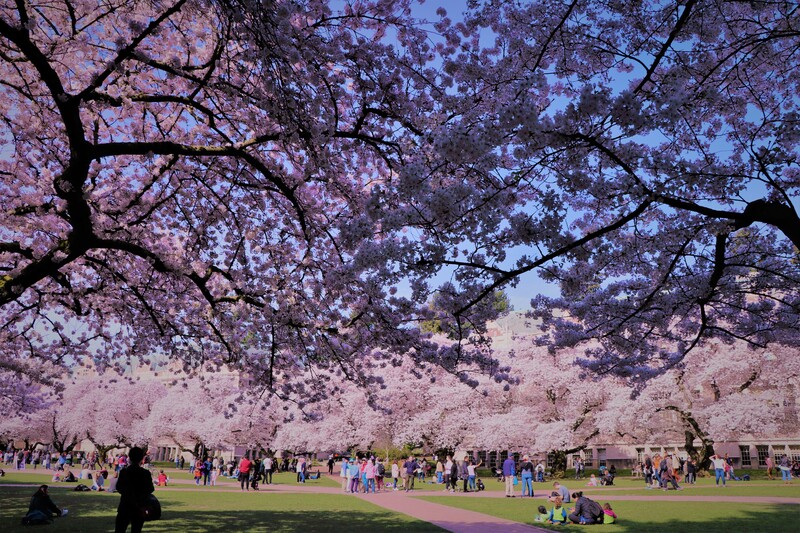 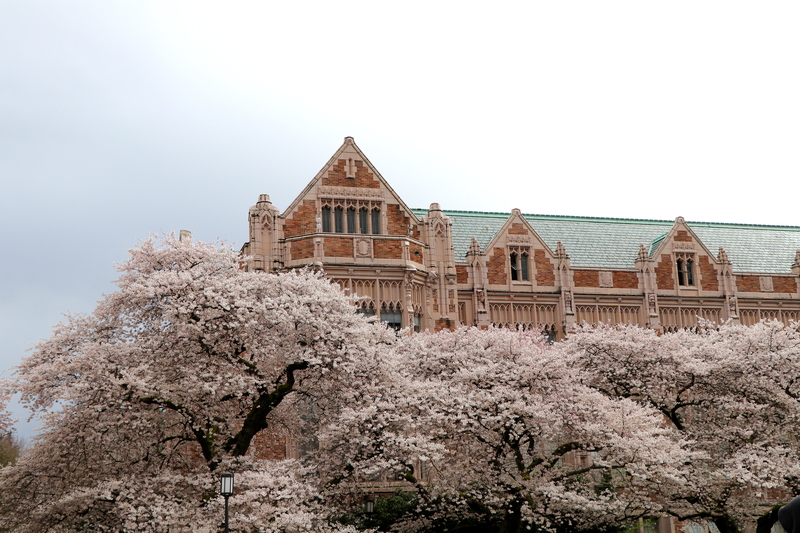 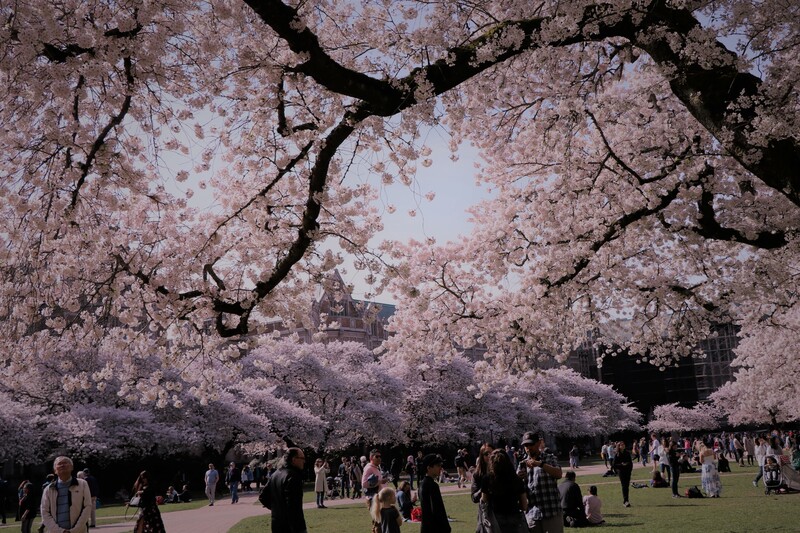 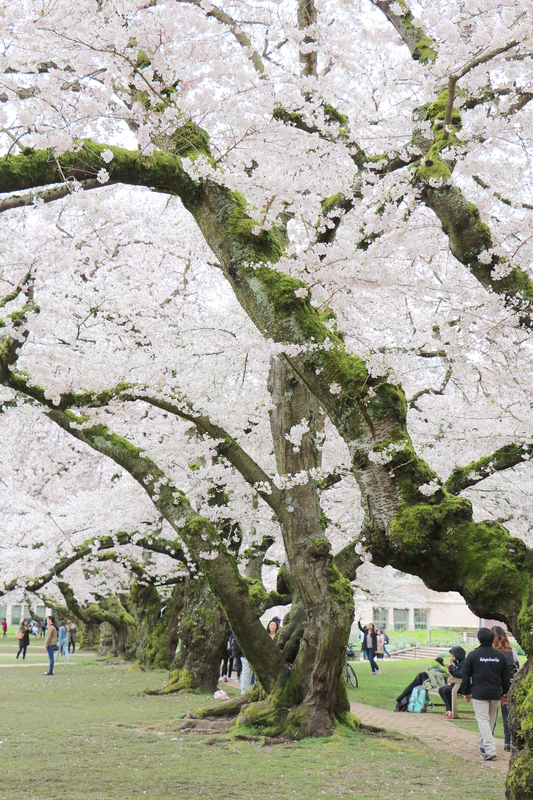 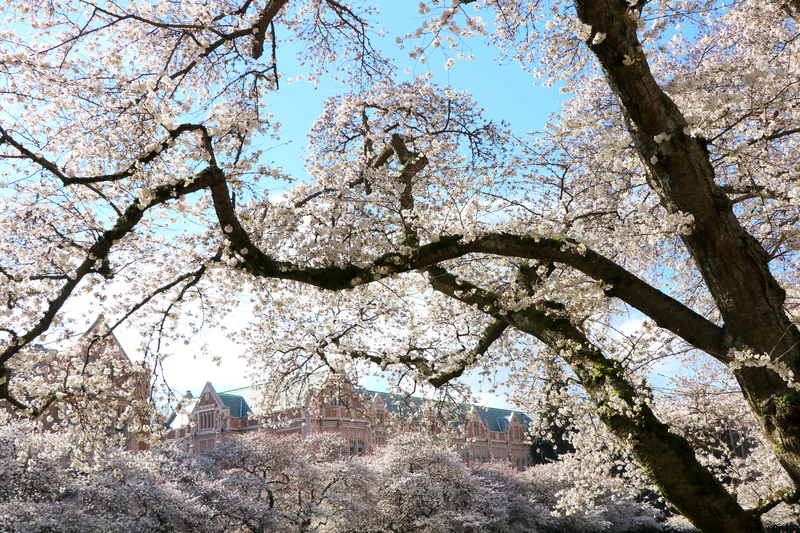 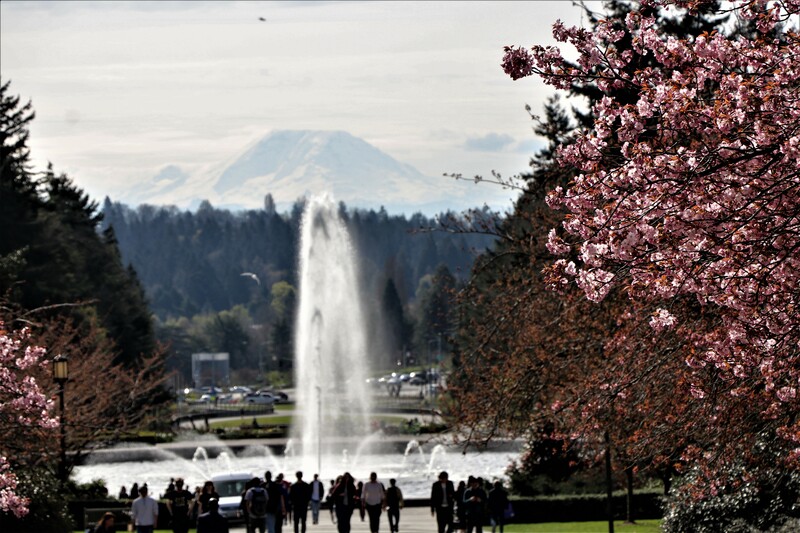 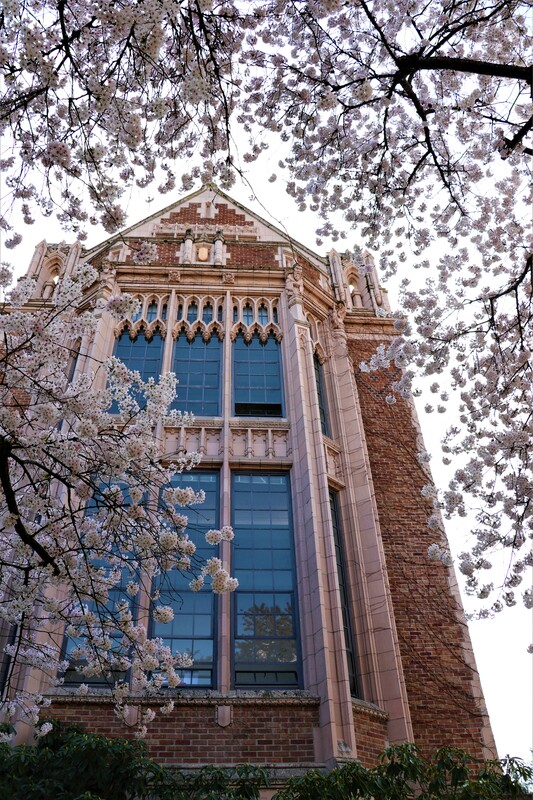 University of Washington Cherry Blossoms | The Happy Wonderer ~ ellen b. 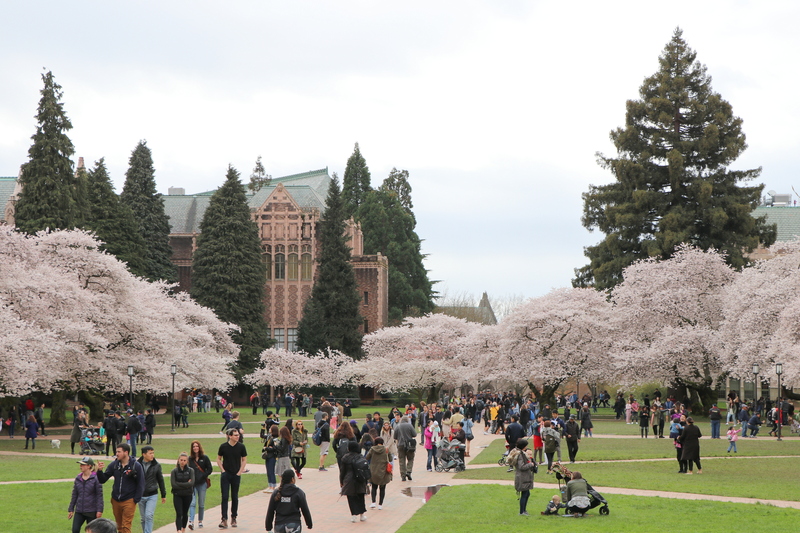 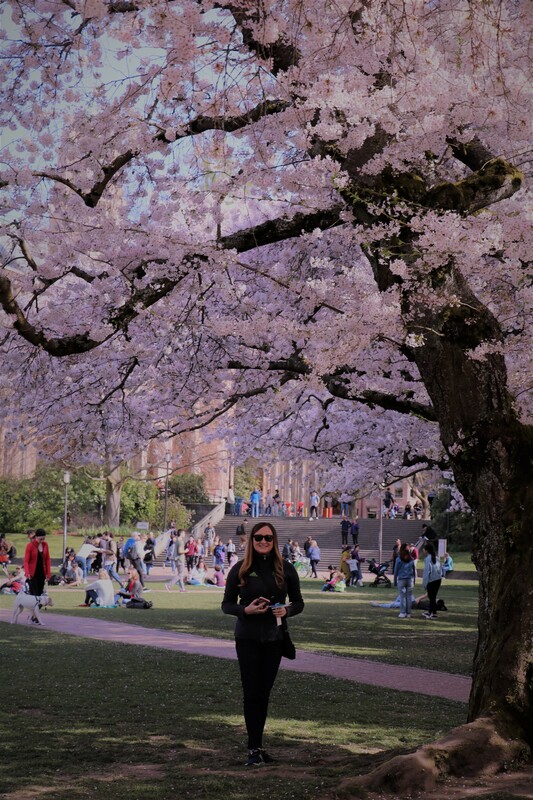 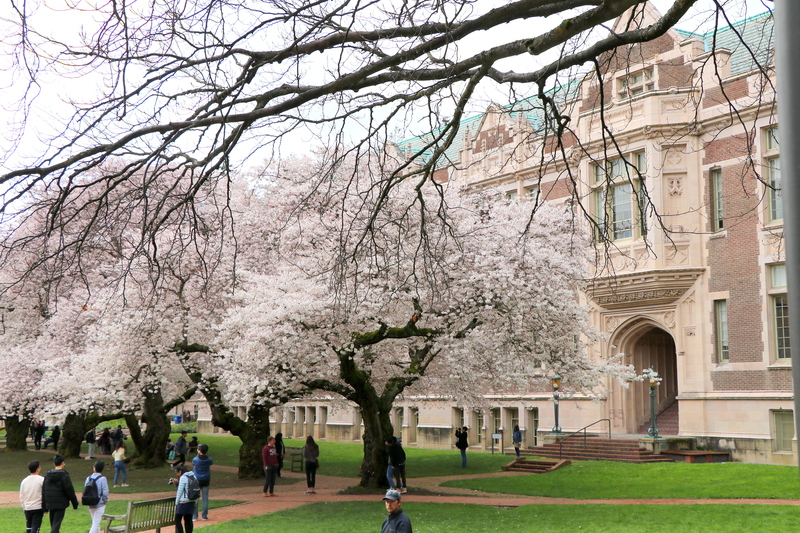 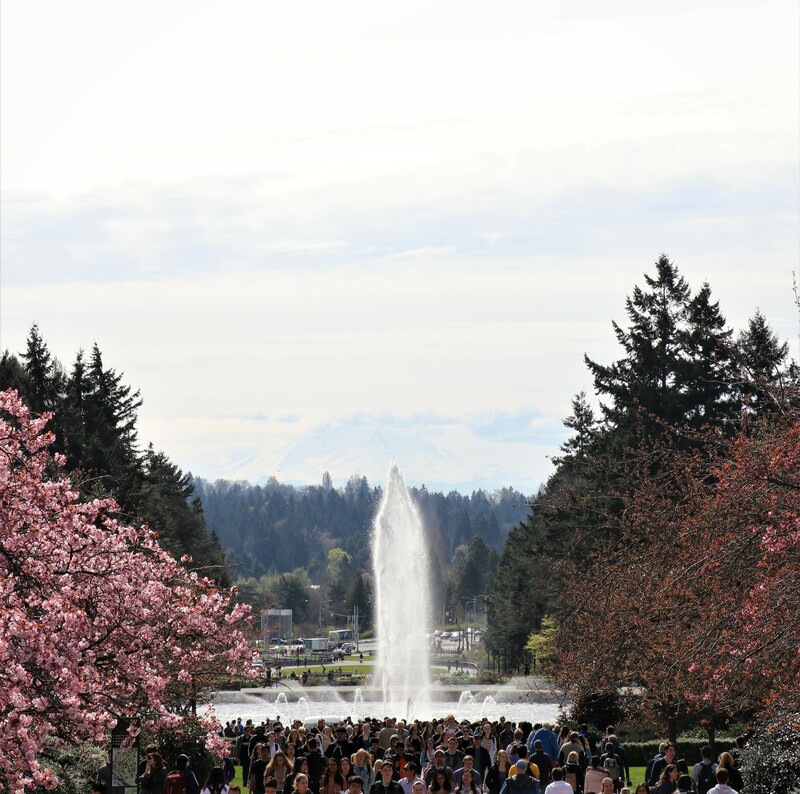 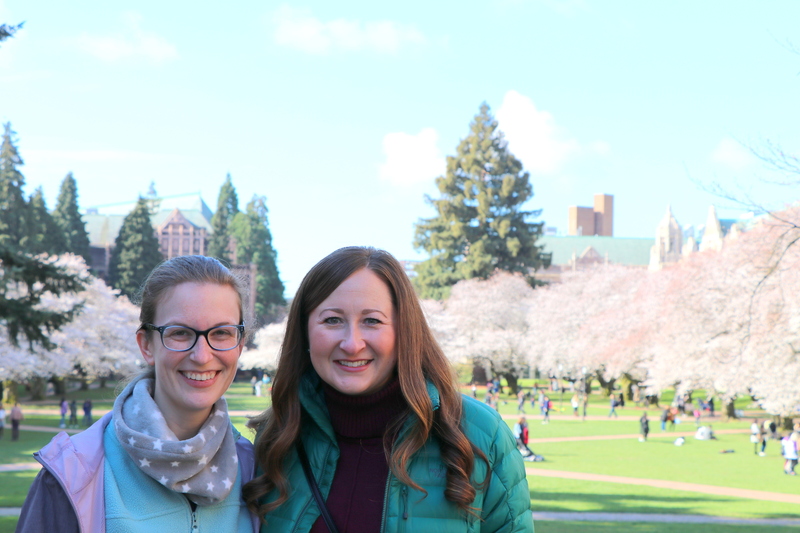 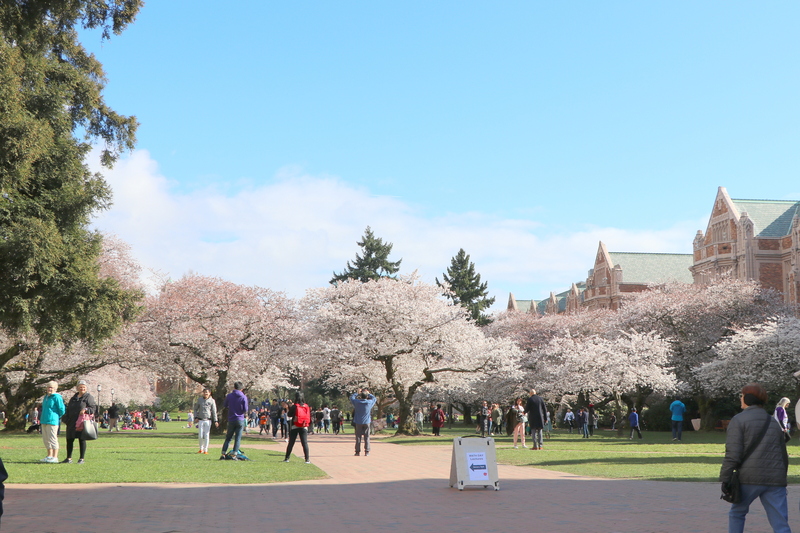 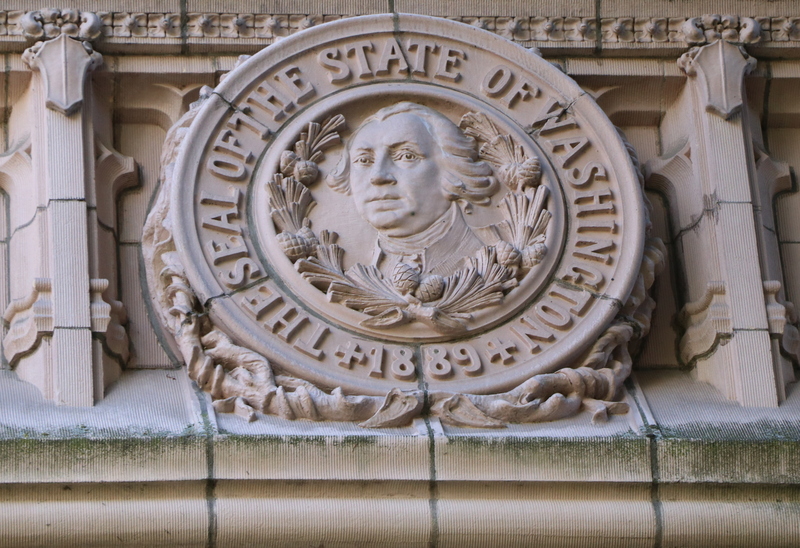 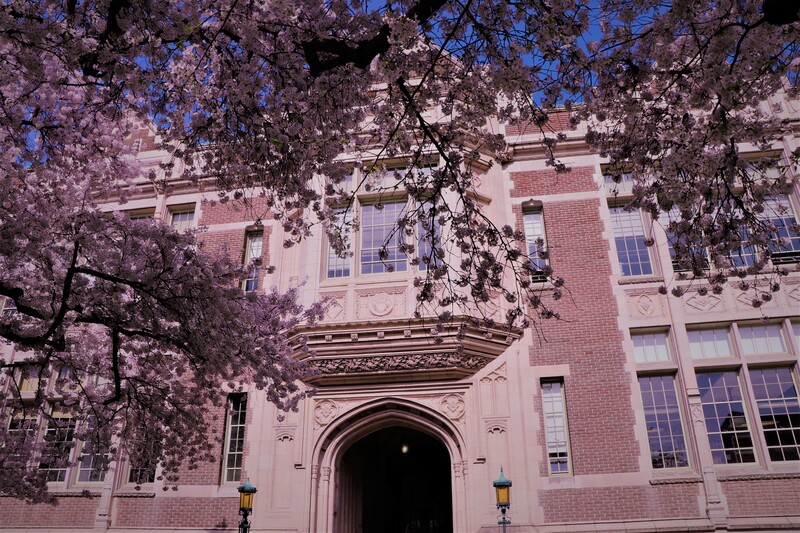 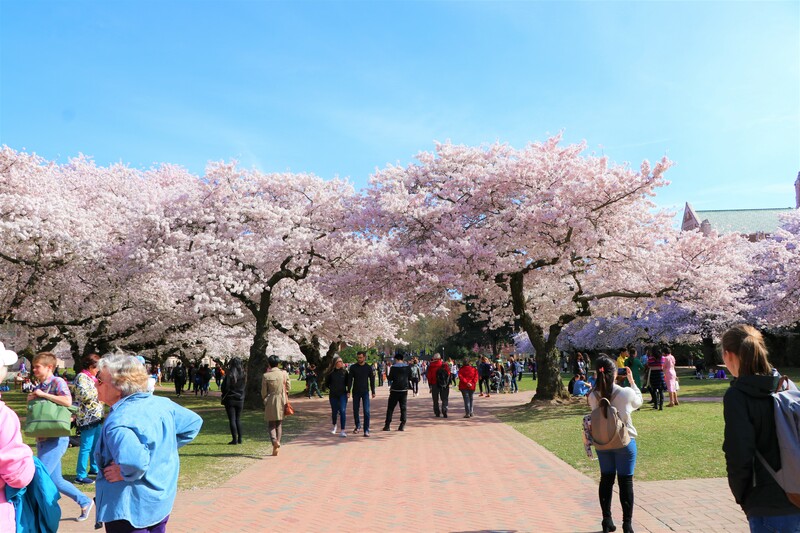 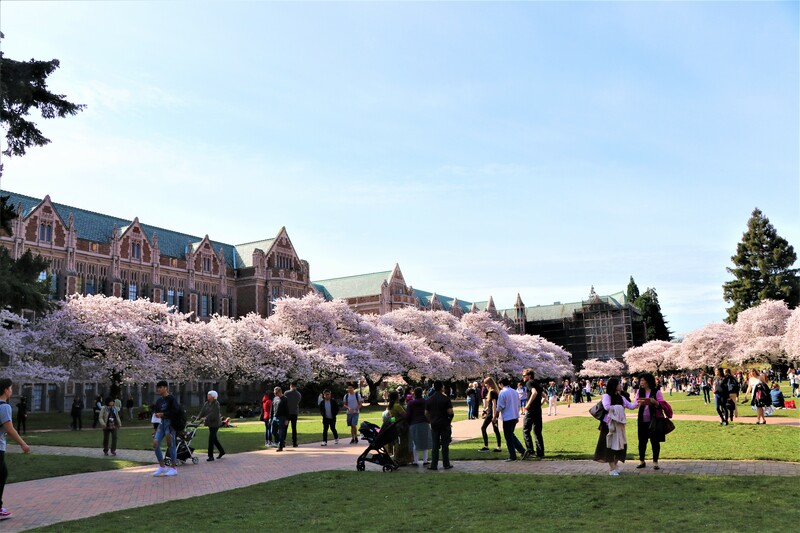 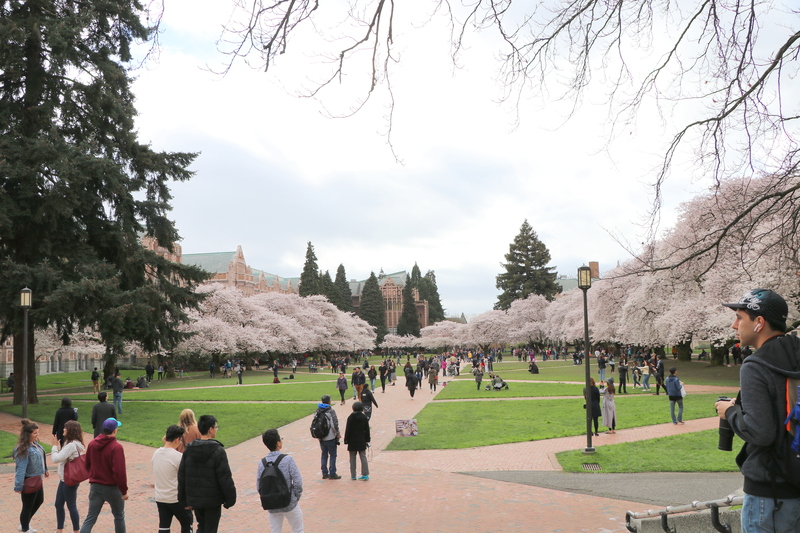 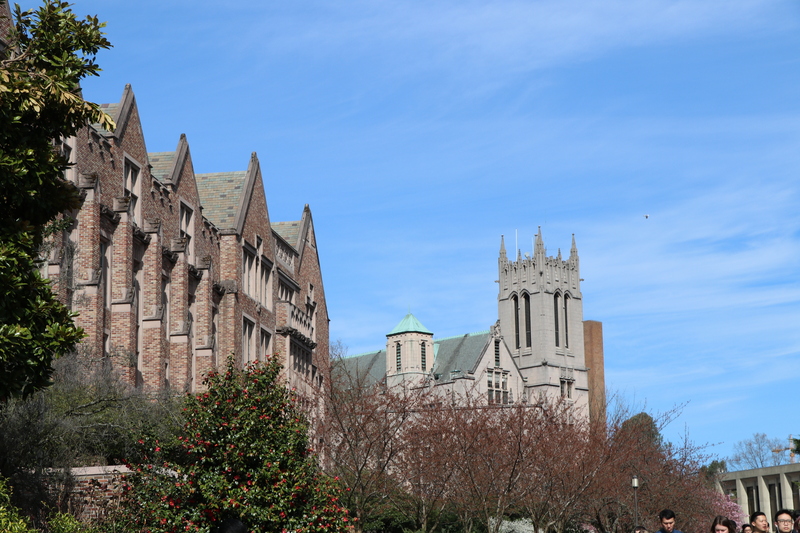 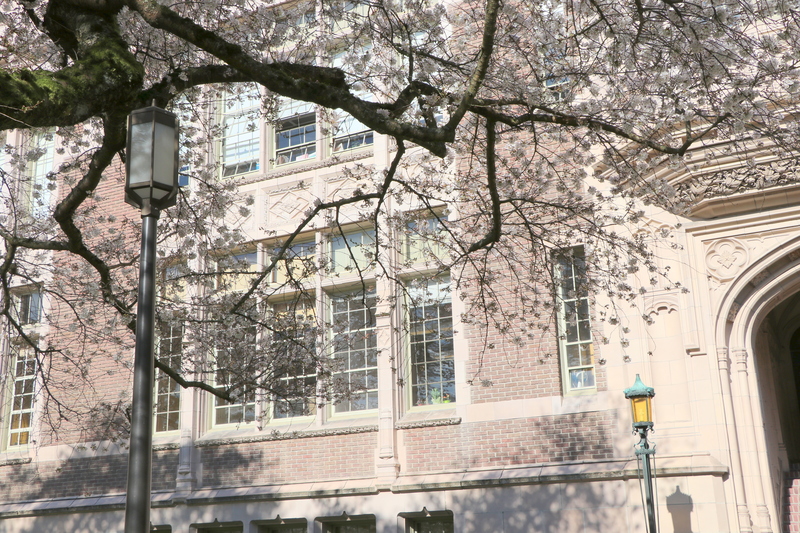 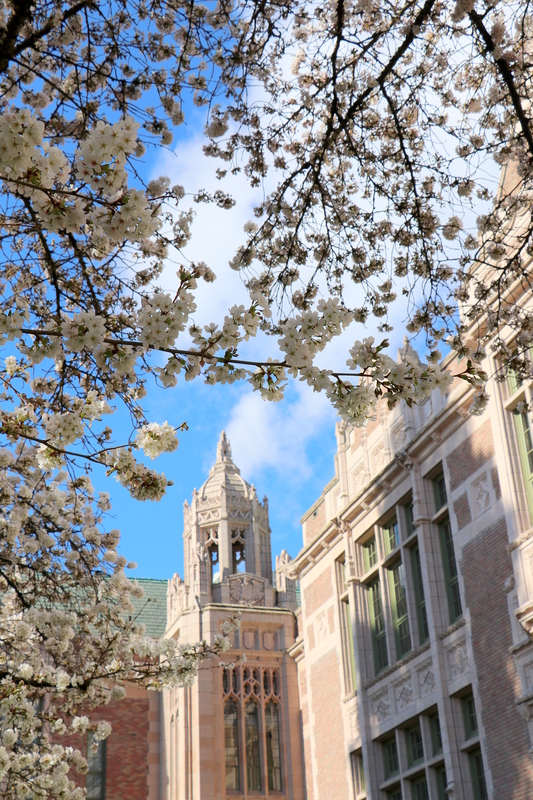 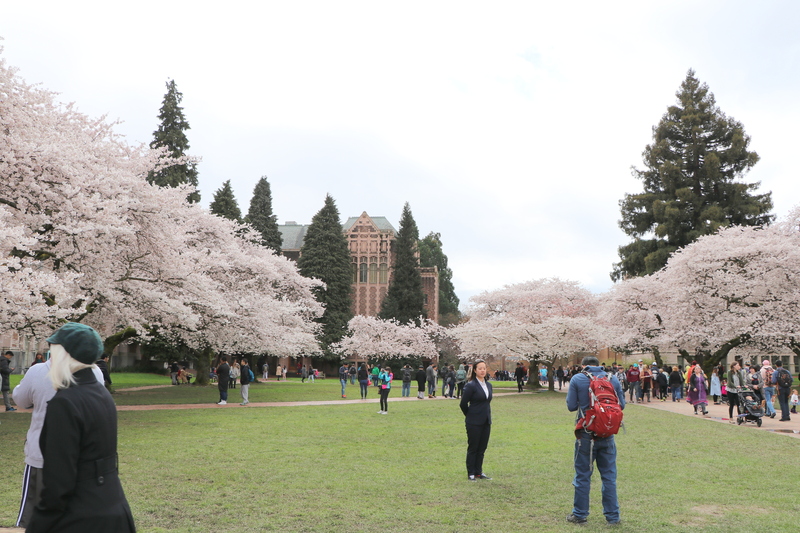 We and many other people who live in the greater Puget Sound region of Washington have been enjoying the Cherry Blossoms at the University of Washington. 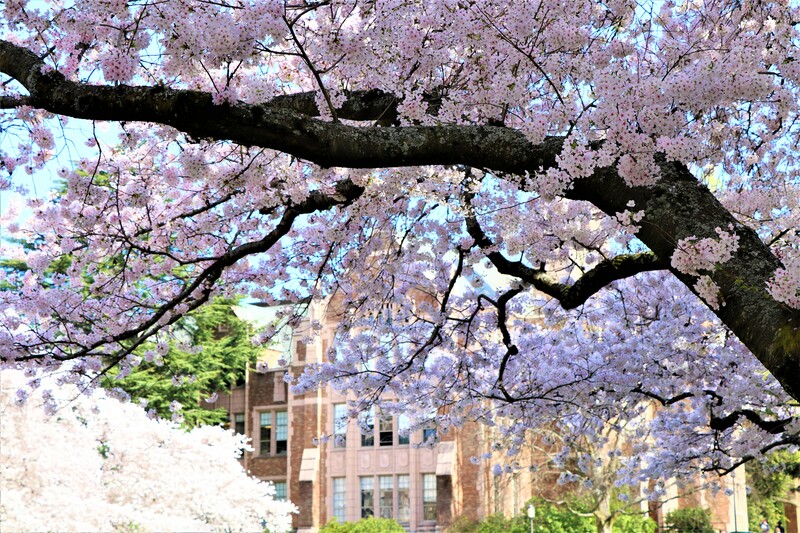 So thankful of the beauty in our region. 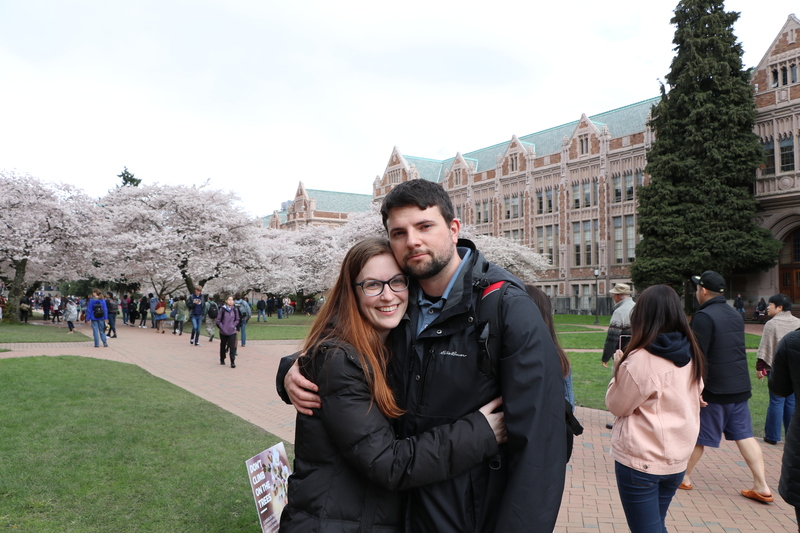 Katie and I met up with Andrew who is studying at the U at the end of his day and then I drove them both home. 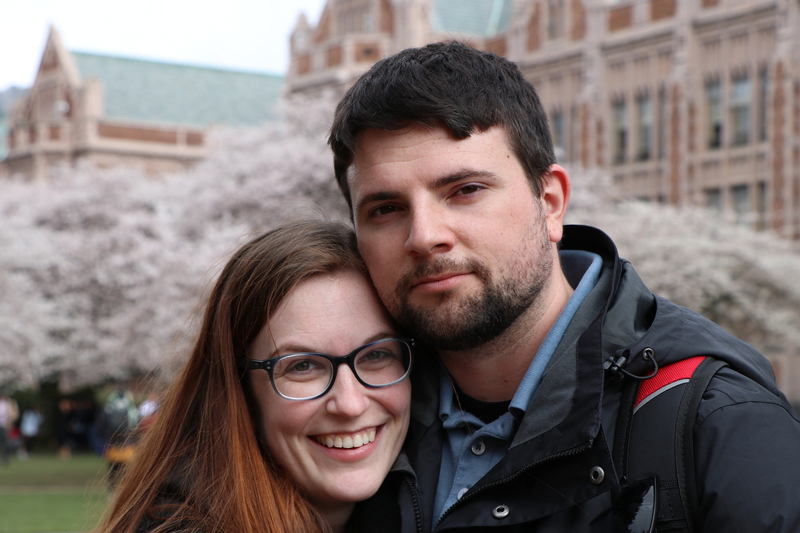 It started raining on us as we headed to the parking garage. 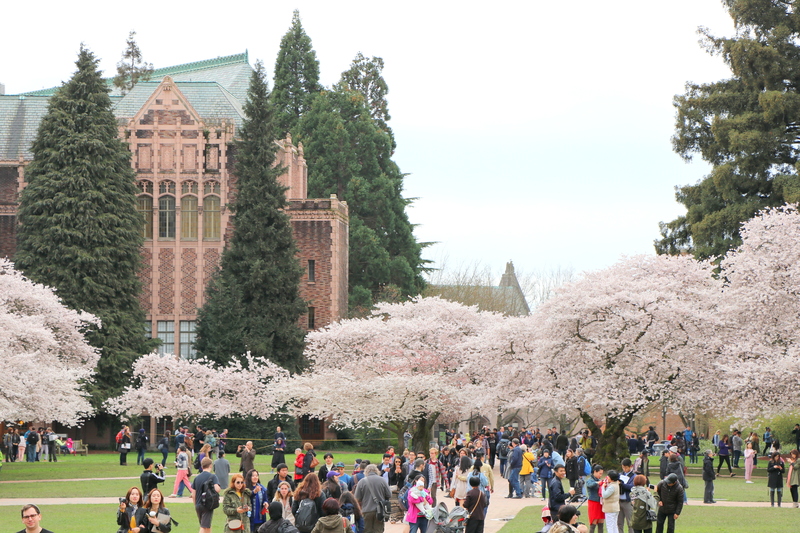 Twenty Nine Years in Washington State and this is the first time I made a special trip to the University to enjoy the Cherry Blossoms. 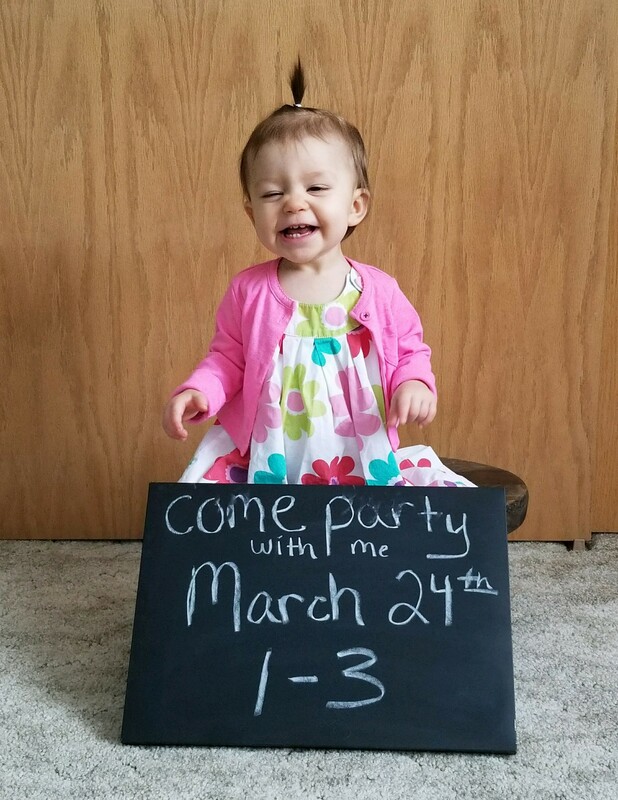 I hope to make it a yearly event while we are on this side of the mountains. 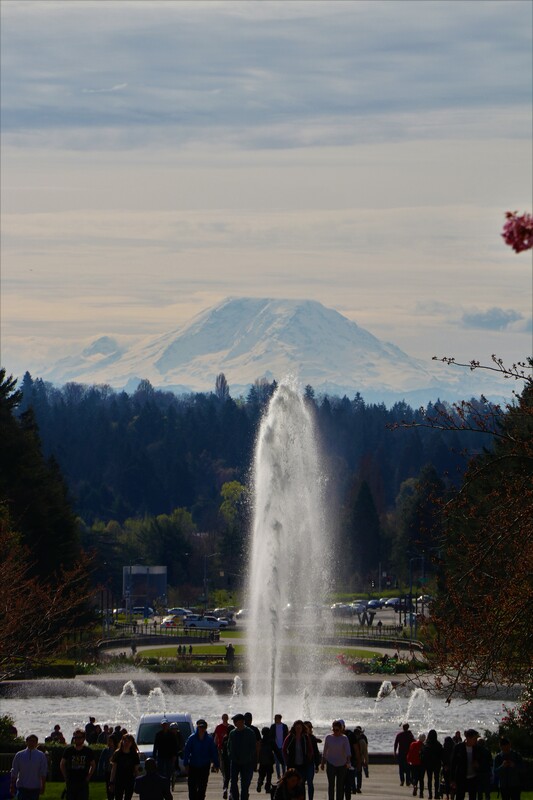 We have had two dry days here this week. 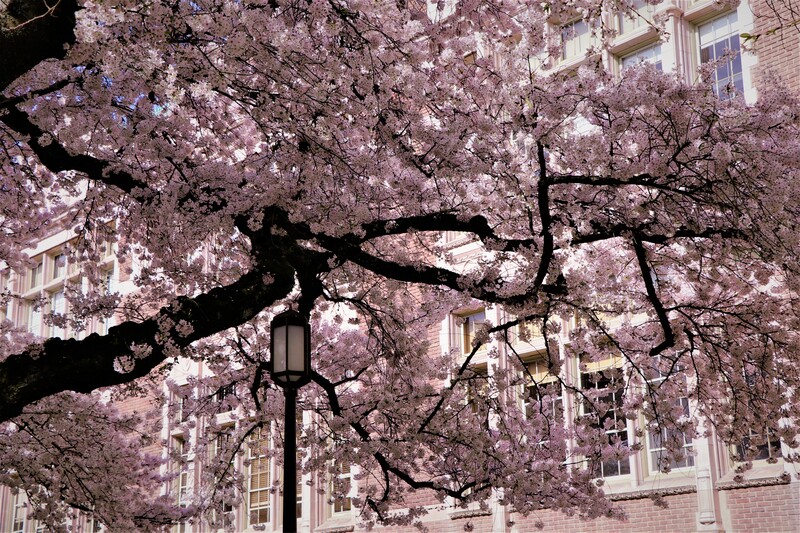 Hoping for more to come. 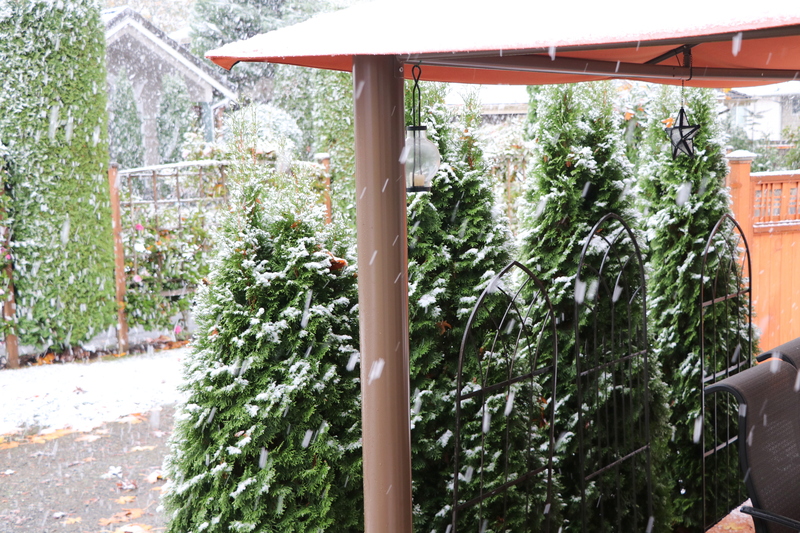 Is it dry, wet, hot or cold where you are?